The winning compositions were selected by a panel of judges, Chaired by BBC Radio 3 Controller Alan Davey and including Vanessa Reed (CEO, PRS Foundation), Gillian Moore CBE (Director of Music, Southbank Centre), Katy Fuller (Director, Absolutely Cultured) and radio presenters Kevin Le Gendre and Elizabeth Alker. The programme features an impressive array of performance groups and arts organisations with a strong track record in supporting UK composers. Alternative Welsh folk group 9Bach (Realworld) , winners of Best Album at the BBC Radio 2 Folk Awards for TINCIAN, will collaborate with acclaimed drummer Andy Gangadeen to explore miscommunication and misinformation in a bilingual, multimedia, and genre defying piece, with special guest. Andy is a well-known Musical Director and session musician having worked with musicians as varied as Massive Attack, Chase and Status and Jeff Beck, he is also the brains behind The Bays. Andy has been brought in to add an electronic slant to the bands distinctive and evocative sound. The composition will contain words sung in the Welsh language. Woven purposefully in to the sound, the audience will hear a spoken word piece performed in English which will voice an interpretation (or feel) of the song’s meaning. + Aidan O’Rourke, Kit Downes and James Robertson – ‘365: Stories and Music’, commissioned by Edinburgh International Book Festival. This piece is about storytelling: about how to tell stories without saying too much. James Robertson wrote a story every day for a year, each exactly 365 words. What began as an exercise became a valued ritual and a captivating collection of tales, from the supernatural to the philosophical. Aidan O’Rourke applied the same discipline to composition: a tune a day in response to Robertson’s stories. The music is rooted in Scottish folk fiddling with Kit Downes on harmonium adding jazz and French impressionism. The performance intertwines tunes with the words that inspired them. A series of fleeting, vivid vignettes. Claire M Singer is a composer, producer and performer of acoustic and electronic music, film and installations. In June 2017 she was a recipient of the inaugural Oram Awards from the PRS Foundation and New BBC Radiophonic Workshop. Her work incorporates the aesthetic of electronics created purely through acoustic means. Following the New Music Biennial, the work will then go on to tour the UK. The UK premiere of a piece for string ensemble, The Centre is Everywhere is a starkly original work, described by Music Director Rakhi Singh as “something beautiful and strange, a music of close whispers and myriad reflections”. The Centre is Everywhere brings together Finnis’ exquisite sonic language with the work of one of Britain’s most exciting young ensembles, Manchester Collective. Edmund Finnis has composed intimate music for soloists and duets, immersive electronic pieces, music for film, ensemble music and works for large orchestra. His music has been hailed as ‘magical’ (The Times) and ‘iridescent, compelling’ (The Guardian). 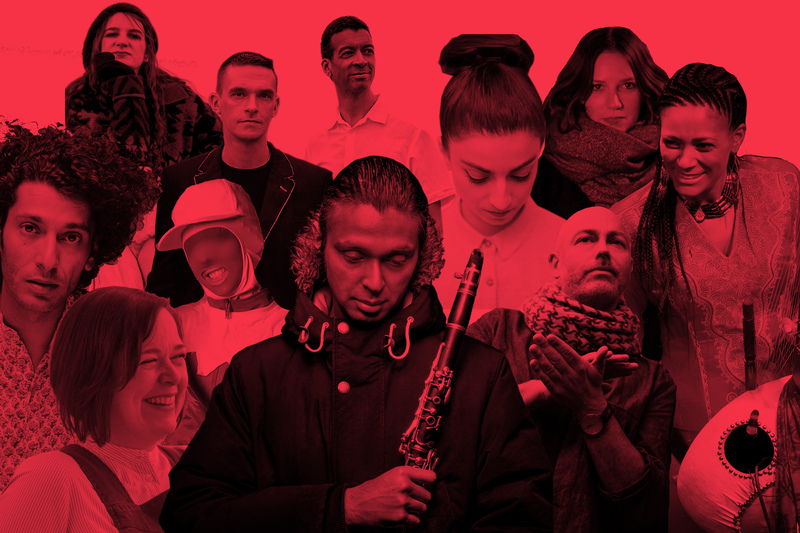 Manchester Collective produces innovative and outward-facing musical experiences for new audiences across Britain. Having achieved critical acclaim for his trio of releases, Dagger Paths, Engravings and Compassion, and subsequently toured the world to capacity audiences, Barnes’ attention has shifted towards the creation of more bespoke, multidisciplinary practice. Barnes will work alongside the team at Metal, and Erased Tapes’ signees Immix Ensemble to develop Trespassing. This work will be a conceptual work exploring the ‘future sonic landscape of cities’, a deviation from his typical points of inspiration rooted in the ancient past. This 15 minute work will be performed by Barnes and the ensemble, made up of 6 ‘world class’ traditional instrumentalists. The new commission by Jessica Curry will weave together themes of beauty, humanity and connectivity into an original and innovative 15-minute choral work that fuses the young voices of the National Youth Choir with digital music in a powerful and inclusive celebration of the female experience. Jessica is an internationally acclaimed BAFTA winning composer and co-founder of renowned games company The Chinese Room. Her work has been performed in diverse and high profile venues such as The Old Vic Tunnels, Sydney Opera House, Great Ormond Street Hospital, MOMI New York, The Royal Opera House, and Durham Cathedral. Osanle will be a drama – dance piece on dance, looking at the iconography of ballet through the eyes of three teenage boys and their new friend. The piece will be an extension of elements from Care, the musical Klein presented at ICA in February 2018. The project will be scored, casted and directed by Klein, with additional dance choreographed by Scout Creswick. The cast will consist of teenage boys with no prior experience of ballet or dance performance. The result will be a live dance piece with original music performed by Klein. ‘Where to Build in Stone’ is inspired by the shapes and sounds of the city of Hull, originally commissioned by J-Night for Hull Jazz Festival 2017. Performed with a variety of electronic and acoustic instruments, the piece is a vivid soundscape embroidered with evocative melodies that evoke a mysterious and oddly beautiful side of the city. The visual counterpart explores Hull over the course of a day, telling the story of the city through the things that are everywhere and overlooked; the familiar seen from an unfamiliar perspective. Music by Numb Mob, film by Joseph Bird. + Roderick Williams – commissioned by Chineke! Better known to some as a baritone soloist, Roderick Williams’ reputation as a composer is growing steadily. His Advent antiphon O Adonai has become something of a favourite for choirs on both sides of the Atlantic and his Ave Verum Corpus Re-imagined was awarded the BASCA prize for Choral Composition in 2016. The commission scored for voice and orchestra, and featuring Roderick as soloist, will be a significant new work which Chineke! plans to tour in future jazz-inspired programmes. This will be the London premiere of Rolf Hind’s Tiger’s Nest for Southbank Gamelan Players and soloists (two prepared pianos and percussion). Rolf Hind has worked closely with living composers across a broad range of styles: from John Adams and Tan Dun, to Ligeti and Lachenmann; Xenakis and Messiaen, to Simon Holt and Judith Weir. He appears regularly at new music festivals throughout Europe and he is in demand as a soloist. Further afield he has made numerous appearances: including with the Danish Radio Symphony Orchestra, Baltimore Symphony Orchestra, and others..
Brit-Ish is a pun. Brit in Hebrew means covenant/partnership, and Ish means Person. At a time when nationalism and ethnic identities are being placed into opposition, this project explores what it means to have a hyphened identity in 21st century Britain. An identity that is a partnership of Jewish heritage and British culture. With all the complexities of coming from a community that has been here since medieval times, and yet are often identified as immigrants. This project forges a new diasporic Jewish identity with a piece of music informed by diverse Jewish legacies infused with a contemporary sensibility. As one of the key figures of the Harlem Renaissance, Langston Hughes was writing at a time when a city was experiencing a unique moment in its cultural history. His writing has helped to shape the identity of jazz in the popular consciousness. For this piece, some of his ideas about music, love and city life will be explored within the musical context of the UK scene, where many aspects of that traditional jazz mythology are being creatively re-interpreted, and the pioneering spirit continues to thrive in diverse city environments. Pianist / composer Sarah Tandy is “one of the brightest sparks on an increasingly lively UK youth-jazz scene” – John Fordham, The Guardian. Turntable artist Shiva Feshareki describes Dialogue as a “sonic sculpture between electronic and acoustic sound.” Honoured with the BASCA British Composer Award for Innovation, expect live-sampling of the orchestra through hyperphysical electronic improvisations that perceptually bend time and space, in duet with resonant orchestral soundscapes. Described as the most “cutting-edge expression of turntablism,” Feshareki exists at the intersection of many artistic scenes, experimenting with electronic & club music, concert & orchestral, fine art and free improvisation. In addition to the pieces above, Absolutely Cultured in Hull will be working with award-winning Dan Jones to create a site-specific piece, continuing its focus on outdoor works which transform the urban environment for large audiences. This work will also come to Southbank Centre alongside additional free participatory events which will be presented throughout the weekend. More details to be announced.